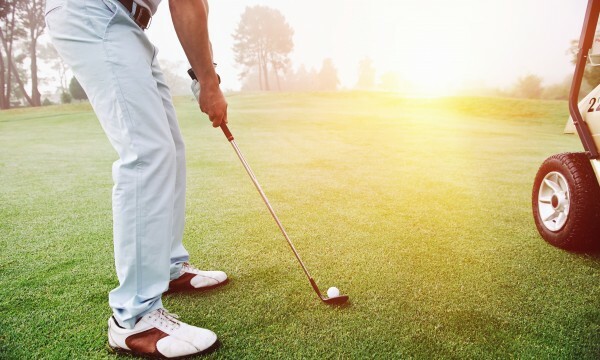 If you want to improve your overall golf game, check out these chipping tips. They can help you become a better chipper and get the ball closer to the hole. Even though you want your chip to go up when you hit it, keep your weight on your front foot. 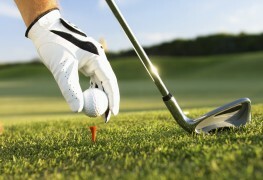 Choke down on your golf grip when you're getting ready to hit a chip shot. This gets you closer to the ball, gives you more control and makes sure the club is counterbalanced. An important tip for choking down is to make sure that you don't hunch your shoulders. 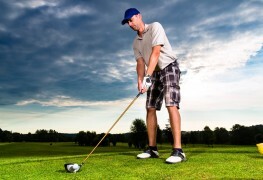 Instead, reposition your hands closer to the club head. Your weight may be on your front foot, but you should hit the ball towards the back of your stance. This helps ensure that you don't hit a lob shot that goes too high or far. To master the chip, practice hitting it with different clubs. That way, you can see how it feels to hit chips from different parts of the course and from different lengths. 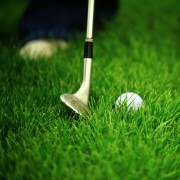 Practice chipping 10 balls with a pitching wedge, 10 balls with an 8-iron and 10 balls with a sand wedge. This will give you a feel for how different chips can feel on the course. When you're on the course, choose the right clubs for the right chips. 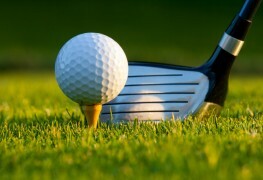 An 8-iron is great for a low chip, pitching wedge is good for low chips in deep grass and the sand wedge is perfect when hitting balls out of sand traps. Rather than keep your head down like you do when you drive a ball, be sure to keep your head up. Don't look up. Instead, keep your chin raised away from your chest. If your head is in line with your spine, your body will be able to rotate more easily through the shot, avoiding flipping it or flicking it with your wrist. 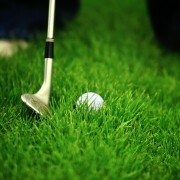 Golf is a dynamic game with many facets, and it can be difficult to become skilled at it. One of the most important parts of a golf game is chipping, and it's essential to master this skill in order to master the game.